Corvette News & Info.Archives - Corvette News & Info. Got your C8 deposit in? You'll want to read this. 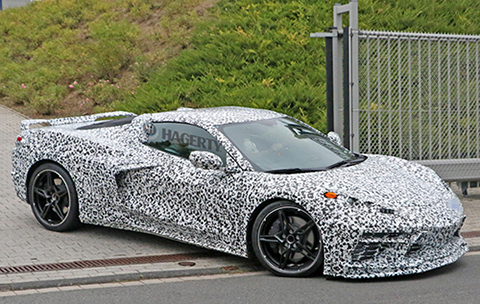 Last month, our own Don Sherman uncovered two of the three reasons for an unexpected delay in the mid-engined C8 Corvette debut. At the time, Sherman referred to the unknown third reason as an "unspecified bone of contention between those who design Corvettes and the development engineers." Shortly after the article was published, Hagerty was contacted by one of those development engineers. Under condition of absolute anonymity, he gave us the full scoop, including information that we were then able to corroborate in the weeks that followed by speaking to a major Chevrolet dealer principal and a representative for the UAW. To put it bluntly, the problem is the LT2 engine intended for fitment in base-level C8 models – and our source was happy to assign blame. "The LT1 made 455 horsepower, which was a marketing decision. GM Powertrain couldn’t make that power at the budget they were given. At least not reliably. Which is why so many of the early ones blew up. Now these [expletive redacted] at Marketing say the LT2 has to be 500 horsepower – without any of the titanium hardware we need to run those extra revs. So it’s a [expletive redacted] grenade. And the C8 has a compromised intake path. The mules are doing 330 at the wheels. That’s what the LS3 did in the C6." 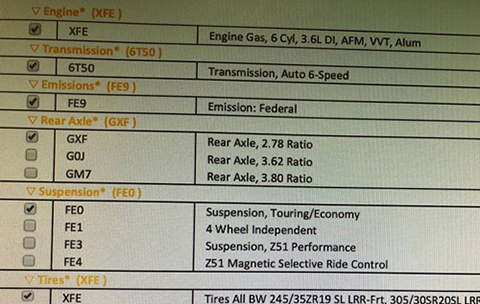 Faced with this issue, Chevrolet executives moved C8 production to Q2 of 2020 – but that’s when the union got involved. Our sources say that the UAW contract for Bowling Green specifies no more than 120 days break in production, at which point a "jobs bank" provision kicks in that pays every Bowling Green Assembly Plant employee full wages for doing nothing. "Something," our source said, "had to be done." Thanks to Tim Daland, the slightly-disgruntled dealer principal of a northern Indiana Chevy store who saw the document you are about to see and, as he put it, "lost my freakin’ mind," we now know what that "something" is – and, again, our insider gave us the full scoop as to how this happened. Be sure to read the ENTIRE story for ALL of the insight. Copyright © Suncoast Corvette Association. P.O. Box 836 Largo, Florida 33779. All rights reserved. For questions or comments contact the webmaster. This page was printed from the Suncoast Corvette Website. Go to the mobile website.